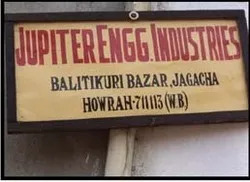 We, Jupiter Engineering Concern, Howrah, incepted in the year, 1985, as Manufacturers and Suppliers of a comprehensive range of Material Handling Equipment. 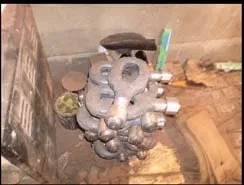 The range comprises Wire Rope Pulley Block, Bottom Pulley Block, Chain Pulley Block, Heavy Duty Pulley Block, Pilling Pulley Block, Five Sheave Wire Rope Pulley Block, Turn Buckle, Swivel Hooks, Eye And Shank Hooks, Wire Rope Sling, Wire Rope Clamp, D Shackle, Bow Shackle, Ratchet Lever Hoist, Industrial Thimbles, Eye Bolt etc. Our range offers critical solutions to the requirements of varied industries spread across different sectors. We follow the most stringent quality parameters in our manufacturing process. Our quality parameters comply with the best in the industry. The range is reputed for such qualities as heavy load bearing capacity, high performance, superb design, safe and easy operations. Our products cater to the requirements of industries like construction, mechanical and engineering related sectors. We are backed by our team of dedicated and hardworking professionals. Their involvement in every sphere of our business operations supports us to cater to the requirements of our clients to the best of our abilities. Right from sourcing the machines for the manufacturing unit to the final delivery of our product range to clients, the team’s contribution is too great to enumerate in few words. We are looking for queries from all over India. Under the inspiring guidance of our mentor, "Mr. Himangsu Mondal", our Howrah, West Bengal (India) based organization has crossed many milestones to reach, today, this position of eminence in the industry. It is due to his visionary approach and astute business sense that we have made a name for ourselves as manufacturers of one of the most leading quality material handling equipment in the industry. We are backed by the support of a very dedicated and expert team of professionals. Their hands on practical approach to most critical challenges have saved us from many tricky situations. The team totally identifies with the aspirations of the company and to that extent takes extra efforts to meet every demand of the client in most satisfied manner. Members of different units work in tandem to realize the organization goal of reaching the zenith of success by satisfying the customers with our qualitative product range. Our team comprises product engineers, quality monitors, research and development professionals, inventory manager, sales and marketing executives. We have two decades of experience as manufacturers and suppliers of a premium quality range of Material Handling Equipment. Our product range caters to the requirements of various industries .In our state of the art manufacturing unit, we fabricate our range using the most advanced technology that our team of adept professionals has acquainted themselves with. Our product range is manufactured in compliance with international quality standards. We offer customization facility, which our research and development unit processes with modifications and alterations in the standard range. Our manufacturing unit has most sophisticated machines and tools. Timely delivery and cost effectiveness is our forte. Since the inception in this business domain, we have been serving nationwide customers with world class products. Our products are durable, sturdy in construction and have longer life that make them widely preferred among numerous customers. Furthermore, there are some other important factors that distinguish us in the competitive market.